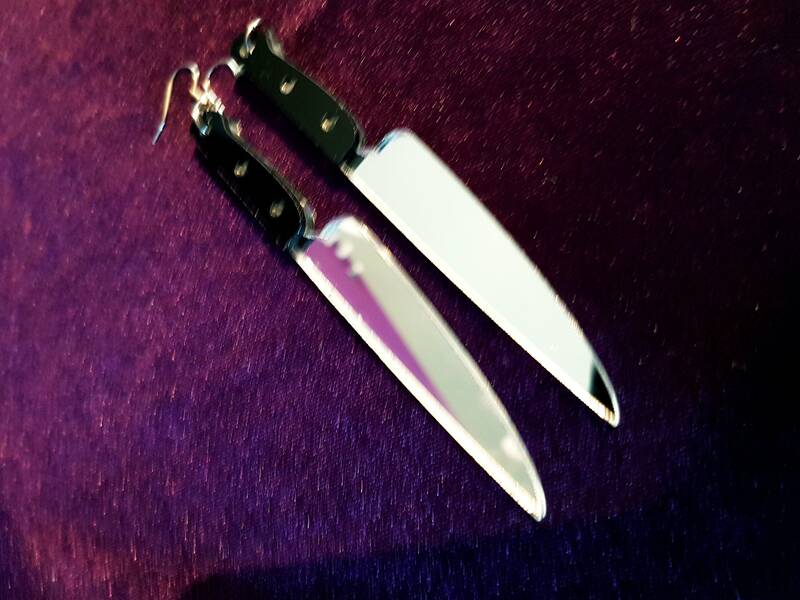 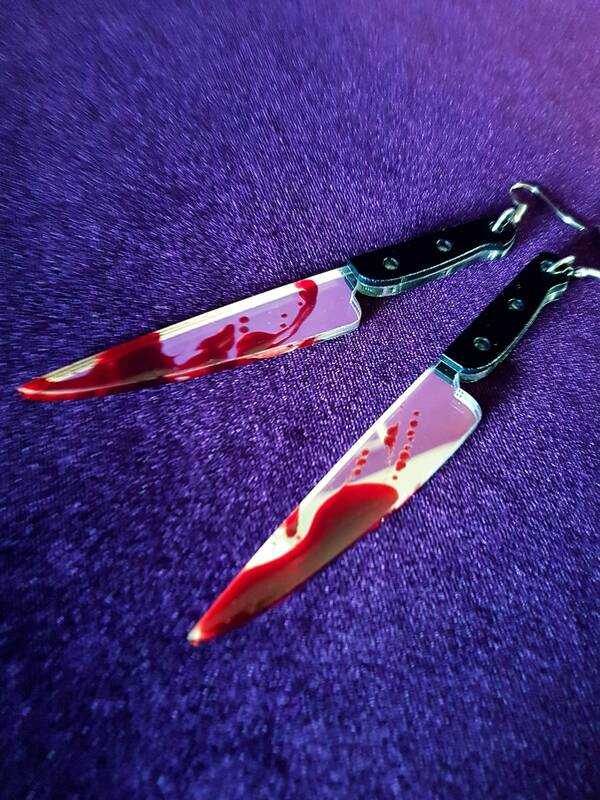 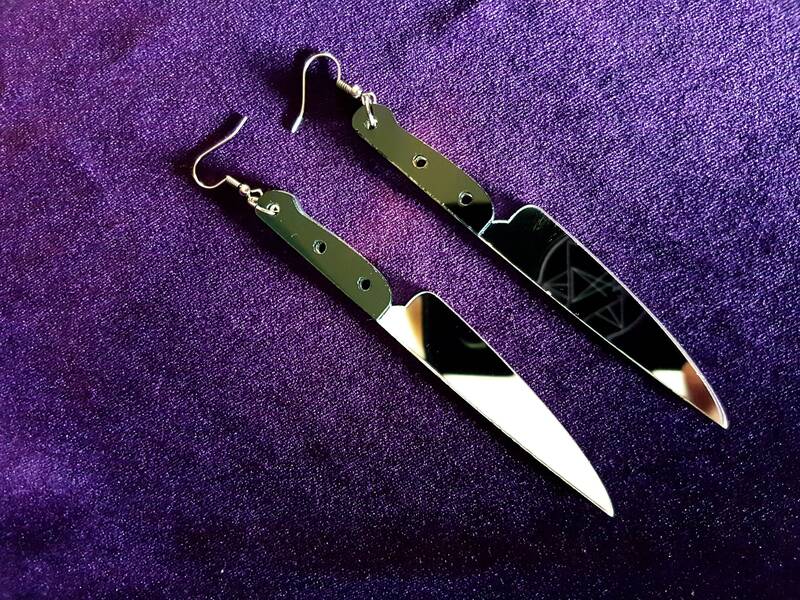 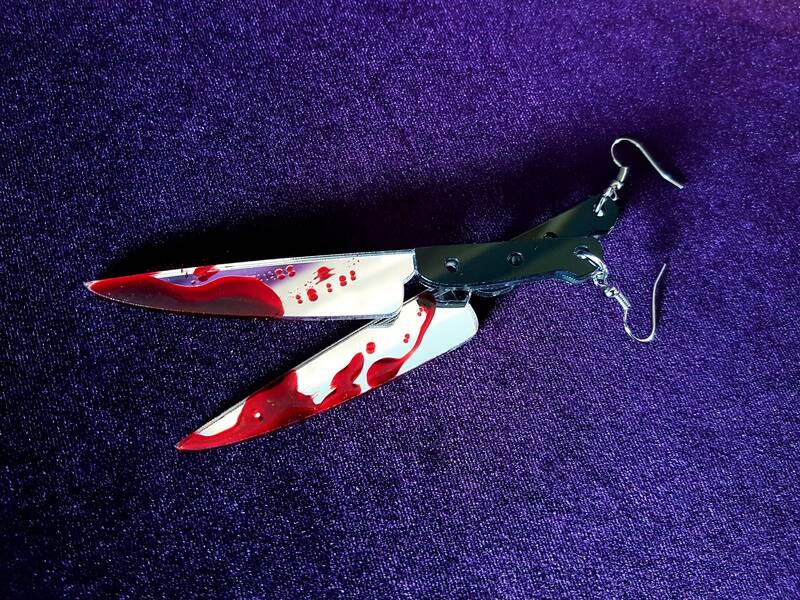 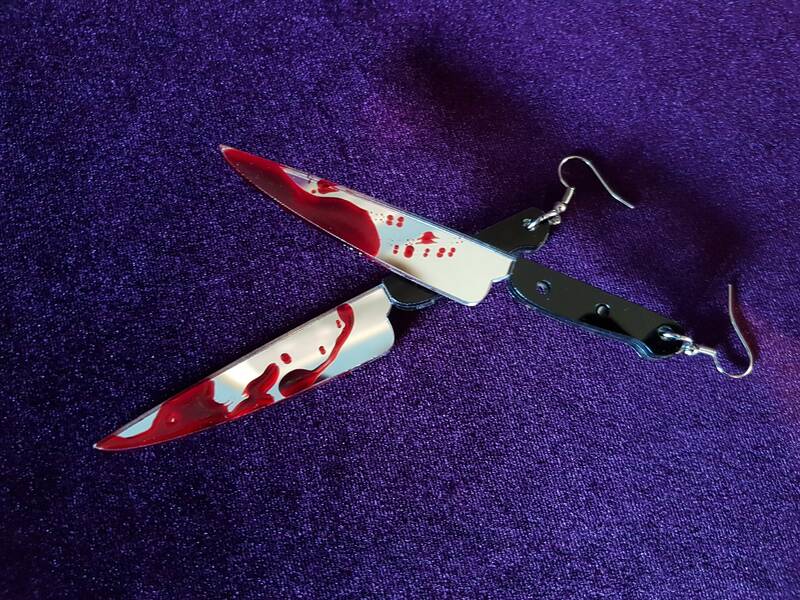 Michael Myers Bloody Knife Earrings. 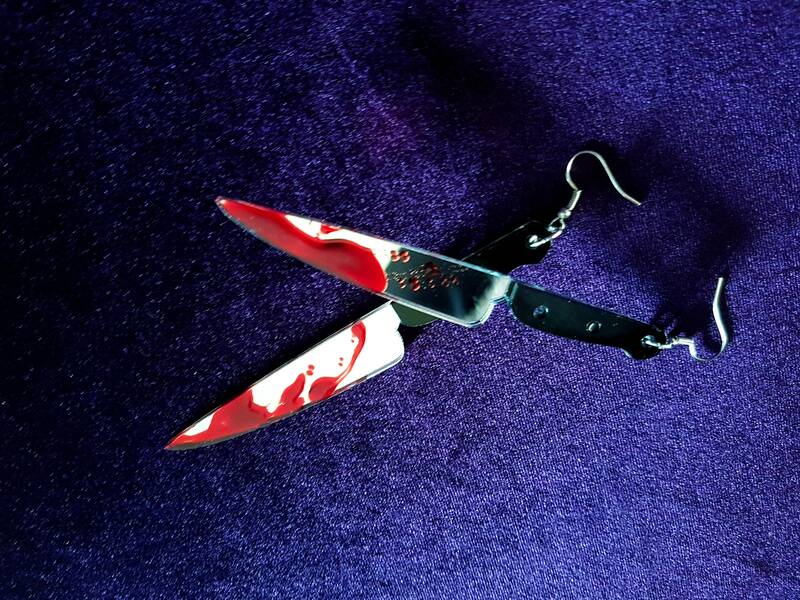 Handcrafted Horror Earrings made with blood red resin inspired on the Halloween movies & Michael Myers. 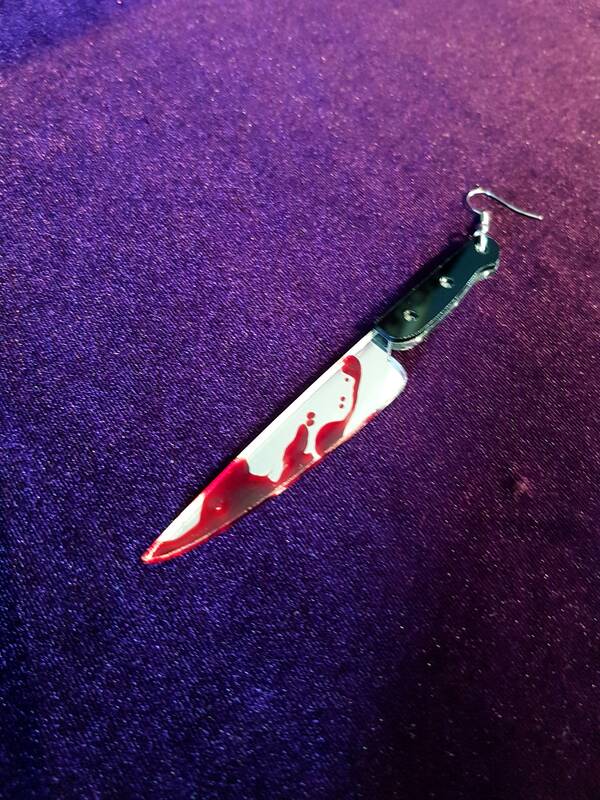 Clean OR Bloody. 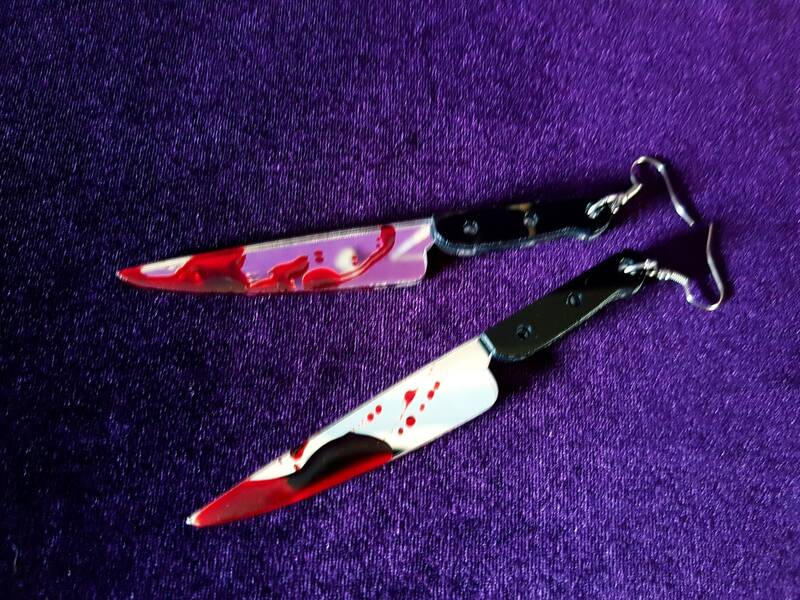 Make your choice in the dropdown box. 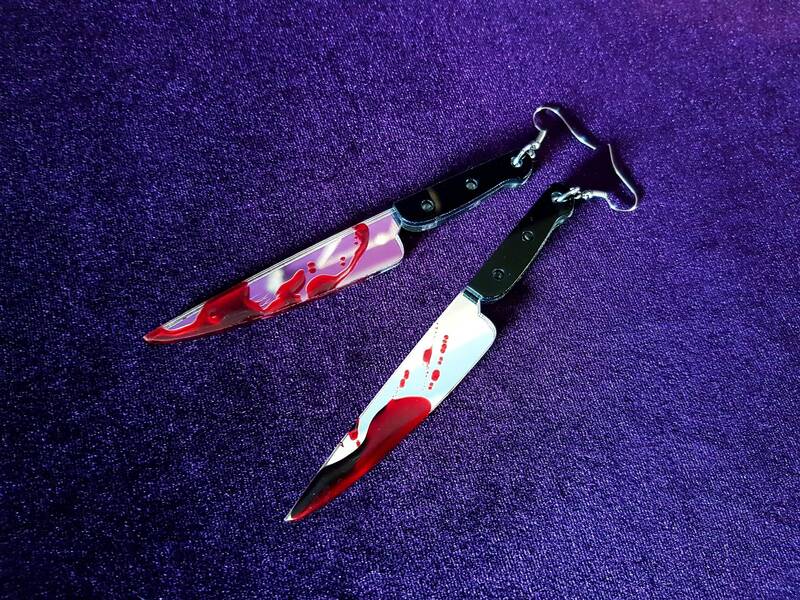 - The knife got a one sided black handle and the bloody style has double sided blood resin splashes. 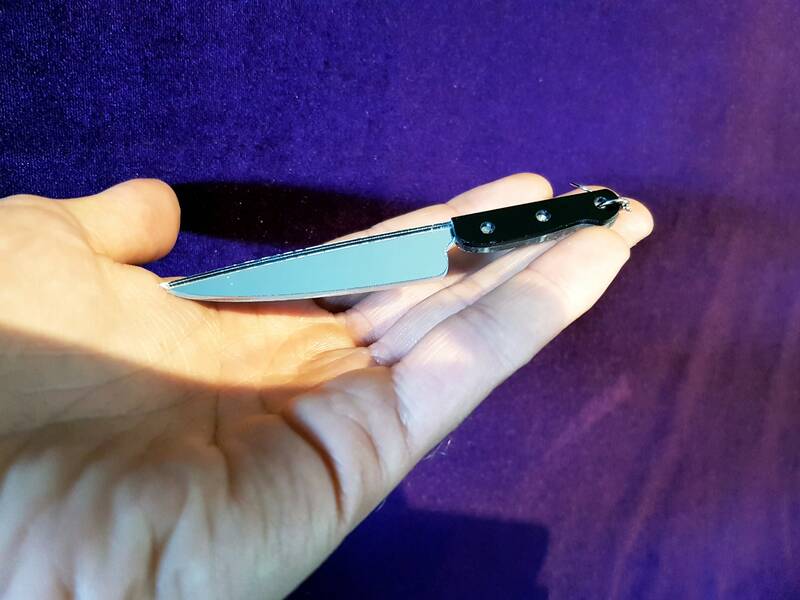 - Clean surfaces of the knife are like a mirror.